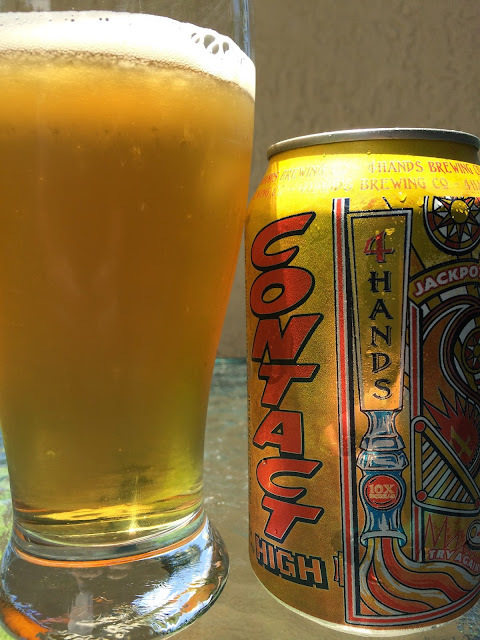 Just opened my third can of Contact High, a wheat ale brewed with orange zest by 4 Hands Brewing. After three cans, you definitely have an opinion. Obviously it must be pretty good considering repeats right? 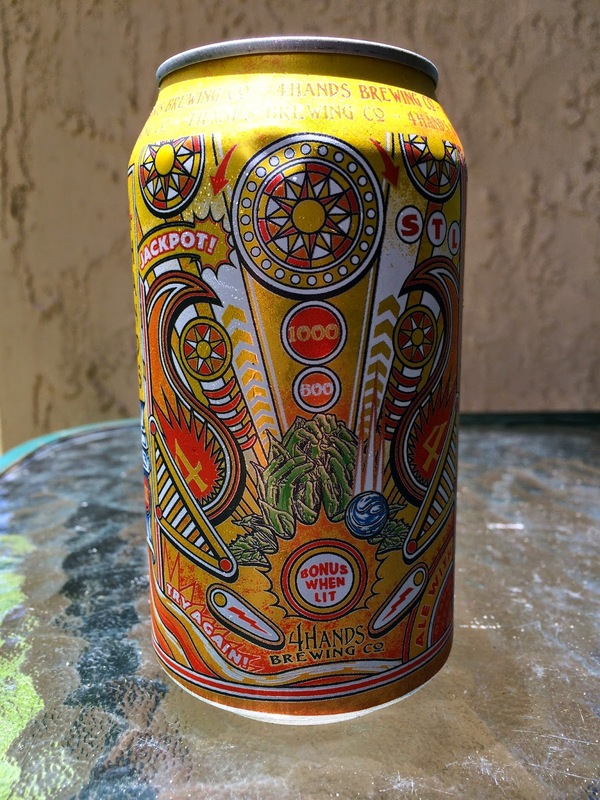 The can art has a pinball machine theme, very fun. 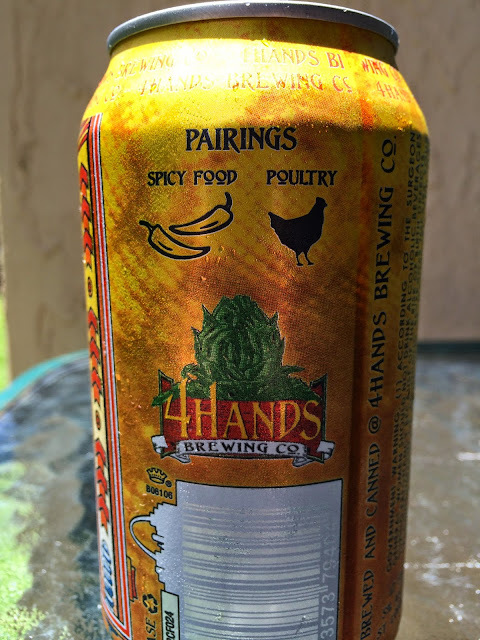 The brewery suggests pairing with spicy food and poultry. 5% alcohol. Spicy orange, doughy aroma. Flavors open with plenty of that orange zest. Hoppy, grassy, spicy. There's even a bit of sourdough type of flavor. Toward the finish and especially as the beer warms up a bit, there is tangy twang that lingers into the finish. I liked that part so let it warm a few degrees and see if you agree. Bitter throughout and the bitterness builds. Pretty good easy drinker. Check it out.